Baldwin Boats is out: a good excuse to keep you updated! 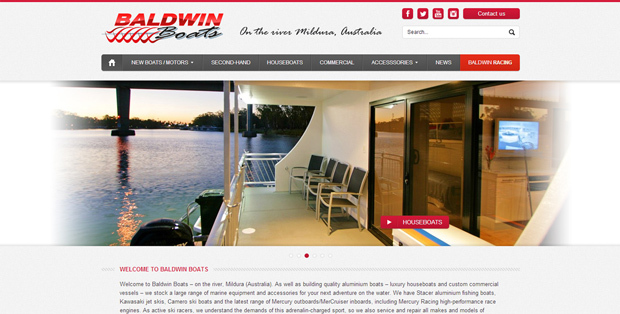 Established in 1970, Baldwin Boats is an Australia owned and operated company based in Mildura with a recognised reputation for quality products in there business areas: vessel construction (houseboats, commercial and private vessels), retail (boats and accessories), and service (engine and boat maintenance). – Livingedge online shop: That’s right, you can now buy the Living Edge products online right from their brand new website powered by Prestashop. 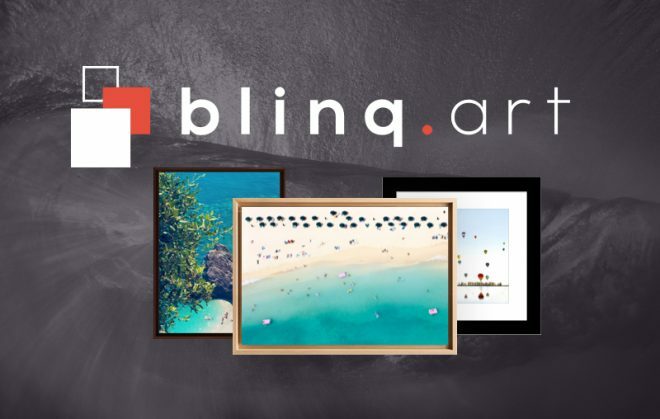 – Among other developments (including a complete warehouse integration), we have provided our client 0cm with the best mCommerce experience using our technology Shoperize. – And another Prestashop for Spirits of France: if you are into unique high quality spirits, that’s a place you should check out. 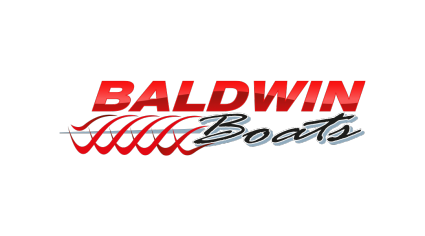 Alright, now let’s move on to the original topic of this article: Baldwin Boats what is it? NewQuest took over the new branding and online strategy with the objective to reflect the brand reputation and grow the customer awareness of their high range of products. 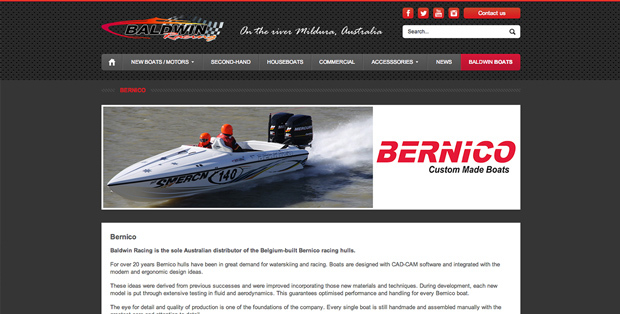 The result is a brand new website accessible at baldwinboats.com.au, with a particular universe dedicated to Baldwin racing, crafted on top of our beloved WordPress based framework. Let us know your feedback in the comments below and we will talk to you soon!